As a church we want to help each other grow as disciples of Jesus Christ. Pods are groups of two to four people meeting together to develop their discipleship in relation to God, each other and the world. Confidential – It’s very important that anything shared in the group is not repeated to others. Structured – For the groups to be valuable, it’s probably worth agreeing a rough plan for your time together. Positive – The groups should encourage each other and be positive in their focus. We want to allow maximum flexibility with how the groups work. Numbers: Between 2 and 4 but we particularly recommend 3. When: Groups should meet regularly as appropriate to the members. Tools: As well as the discussion questions included on this leaflet there are a number of different resources available on the church website and in church which will be added to. You may also like to look at and share ideas on the Discipleship at St Matt’s Facebook Group on what other groups have found useful. Pray for God’s guidance with this! If you already meet with others in a small group e.g. for coffee, for a drink, for sport, in a lunch hour etc then you could make these meetings ‘intentional’. Some House groups may decide to incorporate Pods. Individuals who would like to be part of a group could either form their own group or could ask to be placed in a group. 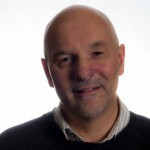 We suggest that all groups have 6 meetings initially and then decide whether to carry on. 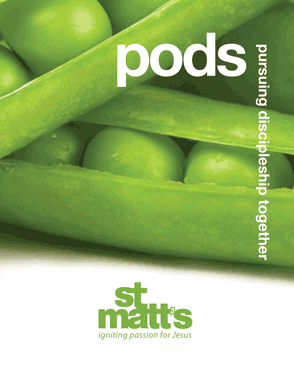 Find out more about what pods are and why are encouraging them in church.